You must be a member of the Mexico City Delicatessen & Gourmet Group to attend this activity. Would you like to join this group? 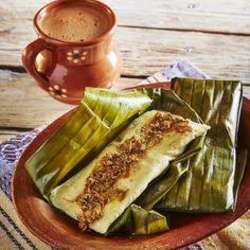 One more of our Mexican traditions is the expected "Day of the Candlemas" and I say expected because this day we prepare to eat and enjoy the rich tamales accompanied by a very traditional drink in our country . Some of us have to give the tamales and this is thanks to the January 6 tradition "Rosca de reyes"
So join us and with the chef you will learn to make tamales.